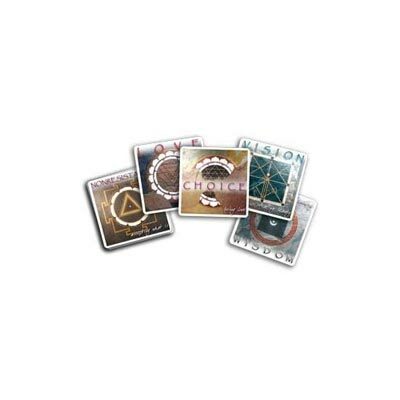 The Yantra Deck consists of 64 - 4"x4" cards, each representing a concept, an intention and a symbol, or yantra. From 'One card a day' to a reading with the 'Spiral Reflection Spread,' the Yantra Deck can be used in several ways and is a unique tool for self-inquiry and spiritual intention. Inspired by the teachings of Eckhart Tolle, Richard Moss, Don Miguel Ruiz, Adyashanti and many more, combined with the exploration of Conscious Breathing, a self-empowering healing process, this work offers a wealth of wisdom and deep insight. The 150 page guidebook includes a chapter for each card and detailed instructions. Also included is the 'Spiral Reflection' spread sheet, showing clear and simple instructions how to do a full reading. The exquisite original artwork was painted by Karl Schaffner on 12"x12" slate tiles. 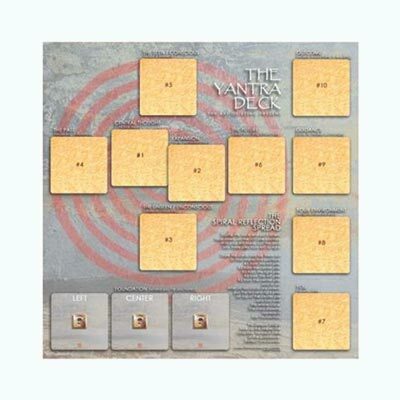 What is the Yantra Deck? The Yantra Deck consists of 64 cards, each representing a particular concept, combined with an intention and a symbol, or yantra. Together, these elements affect the user on three levels: mentally, emotionally and subconsciously. The deck is a tool for self–inquiry, especially in combination with ‘conscious breathing,’ a self-empowering healing process. Combining the physical/emotional experience of ‘conscious breathing’ with mental/spiritual reflection provided by the Yantra Deck supports us to gracefully adjust to and embrace the changes life brings. Stimulating inner intelligence with spiritual wisdom and alternately entering the state of no-mind through the practice of breathing techniques allows us to find clarity and to integrate our growth and evolution. 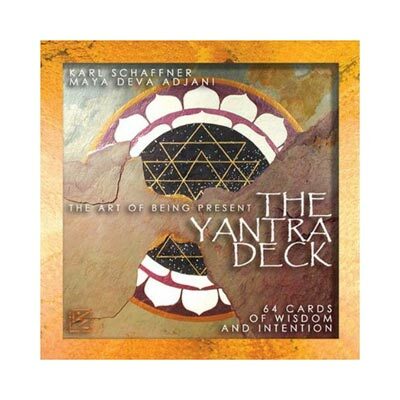 There are several ways to use the Yantra Deck. Different from Tarot decks, the Yantra Deck contains only ‘positive’ concepts. It speaks to the user directly, offering reflective wisdom and guidance for the spiritual path. There are several different ways to use the deck, each exploring a unique approach. Some can be seen almost like a discipline, while others can be very playful. We encourage you to be creative in finding ways to get familiarized with the deck. The better you know the deck, the more it can be of service to you. Drawing one card a day in the morning and then contemplating it whenever possible during our everyday activities is a powerful way to understand the concepts at a deeper level. We recommend to journal about all insights after the morning meditation. That way, over time, we can observe our evolution. Draw a card each for body, mind and spirit. Look up the respective statements in the guidebook. After a short meditation on each card, write down your immediate feelings and thoughts.